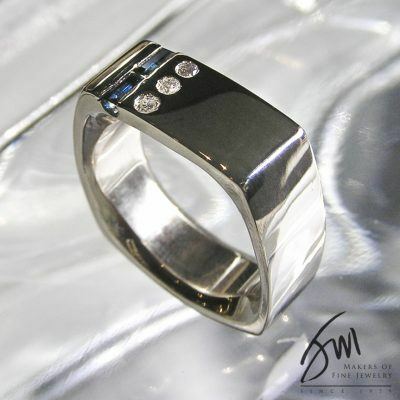 Creating men’s custom jewelry at Jack Miller Jewelry Designers. Most men have a difficult time realizing what type of jewelry they prefer. 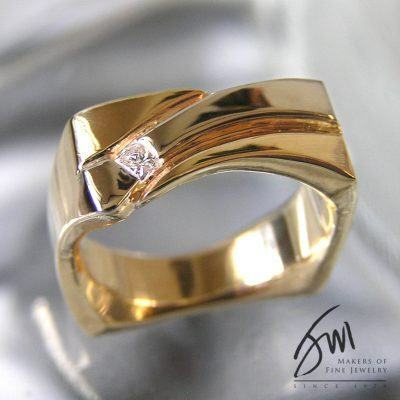 The jewelry industry is highly catered towards women, although there are many great options and customizations for men as well. Our team at Jack Miller Jewelry Designers is here to help you through the process of choosing either an engagement ring, wedding band, or other custom pieces of jewelry. We have years of experience and we are excited to help you in finding the right piece of jewelry for your lifestyle. 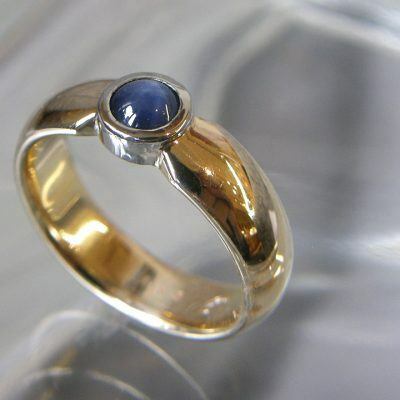 We have many different pieces of men’s custom jewelry and we also offer men’s custom ring design. 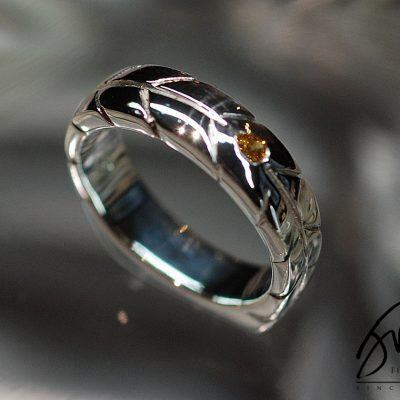 In addition to the custom pieces that we create, we also offer a full line of Lashbrook alternative metal rings. We are honored to partner with Lashbrook designs as they are known as the premier manufacturer of unique metal rings. 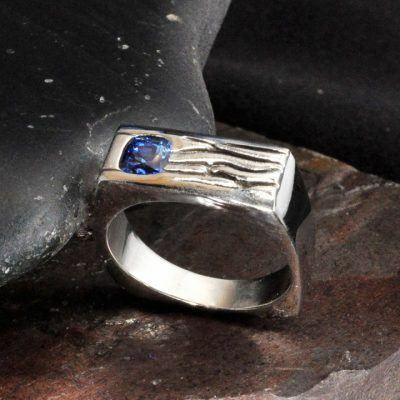 Their rings offer a rugged, yet durable piece of jewelry that can be made from Titanium, Cobalt, or even Meteorite. 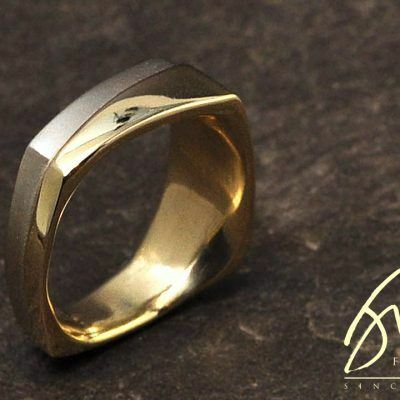 There are many options available for every man, allowing you to wear a ring that defines who you are. Each man tends to have a unique style and the great thing about our custom pieces is that you truly get to make it your own. If you find a ring you like, but it just has that one tragic flaw, let us know and we can design it to match the vision you have. The Jack Miller team is up for the challenge and we look forward to making you a piece of jewelry that you can feel confident wearing day in and day out. 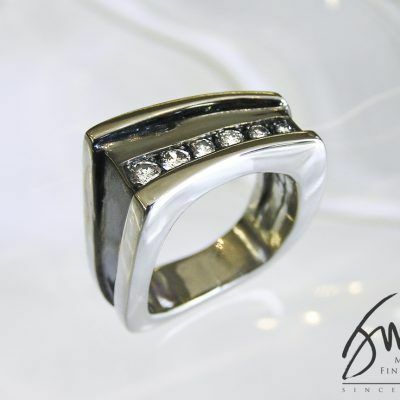 We take every factor into consideration and can provide you with a ring to suit your lifestyle. No matter how active you are, we can provide you with a ring that can keep up with you and be more than just another wedding band. 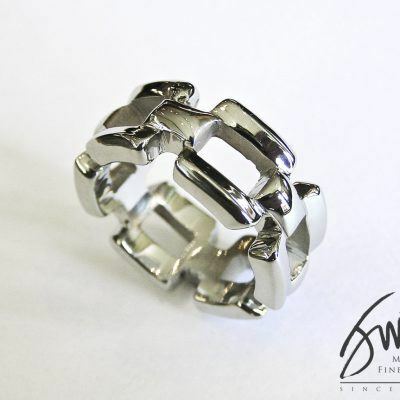 Reach out to us today for more information on our men’s custom ring designs. You won’t regret it! We are proud to be a partner of Lashbrook Designs, the premier manufacturer of alternative metal rings. Rugged and durable, these rings are made from Titanium, Cobalt Chrome, and even Meteorite.